Charles Dana Gibson, creator of the iconic “Gibson Girl”, was born in Roxbury, Massachusetts on September 14, 1867.Gibson was the great-grandson of William Lovett, a noted painter of miniatures. At the age of five while home sick in bed, Gibson’s father began to entertain him by cutting silhouettes from paper. This immediately sparked an interest in the young Gibson who began to practice cutting paper and eventually became quite proficient. Before his 12th birthday, his silhouettes were displayed at an art exhibition in New York; by 13, he was an apprentice to sculptor Augustus Saint-Gaudens. Disenchanted by sculpture, Gibson began drawing with pencil. At age 14, worried that he wouldn’t be able to support himself with his art, Gibson began working on Wall Street. While he was interested in learning finance, he ultimately decided to enroll at the Art Students’ League of New York after winning a drawing contest. He spent the following years submitting drawings for publication, and after many rejections, his work was finally accepted by John Ames Mitchell, the founder and publisher of Life. From this point forward, his work was frequently published in periodicals such as Life, Puck, and Tid-Bits. This steady stream of work gave Gibson a sense of financial stability and allowed him to travel to Europe in 1888. He met other notable cartoonists in London and Paris, and studied drawing at the Atelier Julien. He returned to America to find his work in high demand and he provided illustrations for Harper’s, Scribner’s, and The Century. It was around this time that Gibson popularized the “Gibson Girl,” the icon of a beautiful, willowy, independent, and adventurous all-American girl. This image remained an American ideal for the next two decades and defined his legacy. Gibson became a notable public figure, with drawings displayed at the Chicago World’s Fair of 1893. He found the embodiment of the Gibson Girl ideal in Irene Langhorne, whom he married in November of 1895. At the pinnacle of his career, Gibson made a deal to draw exclusively for Life and Collier’s, netting him the extraordinary salary of $100,000. 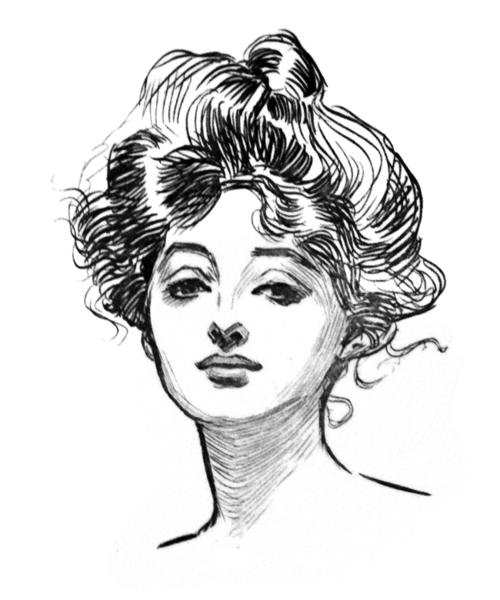 Gibson’s success continued through the end of WWI when the role of women changed, leaving the Gibson Girl outdated. In 1920 he became owner and editor of Life, retiring twelve years later to focus on painting with oils. 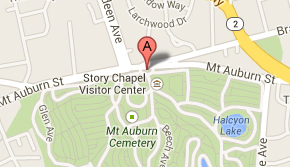 Charles Dana Gibson is buried at Mount Auburn in Lot 3629 on Halcyon Avenue. Adapted from the research of Judy Jackson and Cathy Breitkreutz, as published in Mount Auburn’s Person of the Week: Charles Dana Gibson, 2000. Fine article on Charles Dana Gibson but the photo of the grave site is very misleading. The stone pictured is actually that of his grandfather so the artist’s name is technically Charles Dana Gibson II. 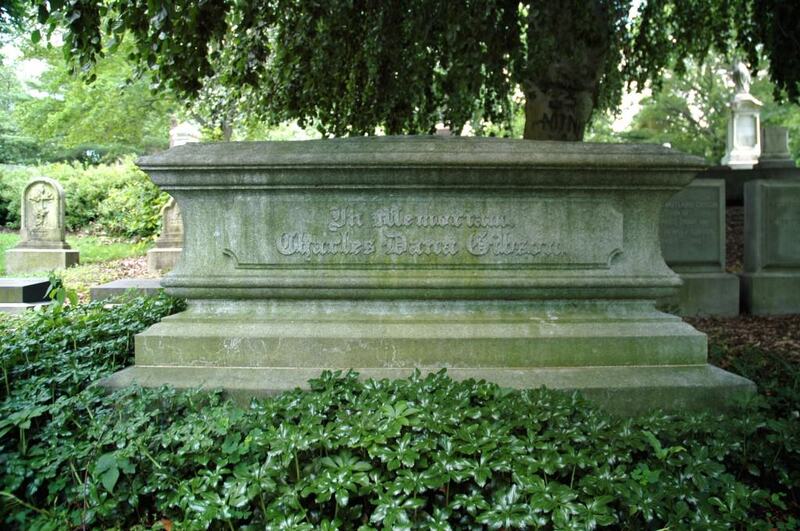 However his gravestone is in the photo, the flush to the ground smooth gray stone to the left rear of the the large gravestone.